Twenty-two Bermuda businesses have now successfully completed Bermuda’s National Service Standards Programme [NSSP], a process created and managed by the Bermuda Tourism Authority [BTA]. Each of the newly certified businesses will be identified on the GoToBermuda.com website with a star, making their certification clear to site visitors. Additionally, these businesses will be pinned to the top of the page in their respective sectors when a user launches a search on gotobermuda.com. 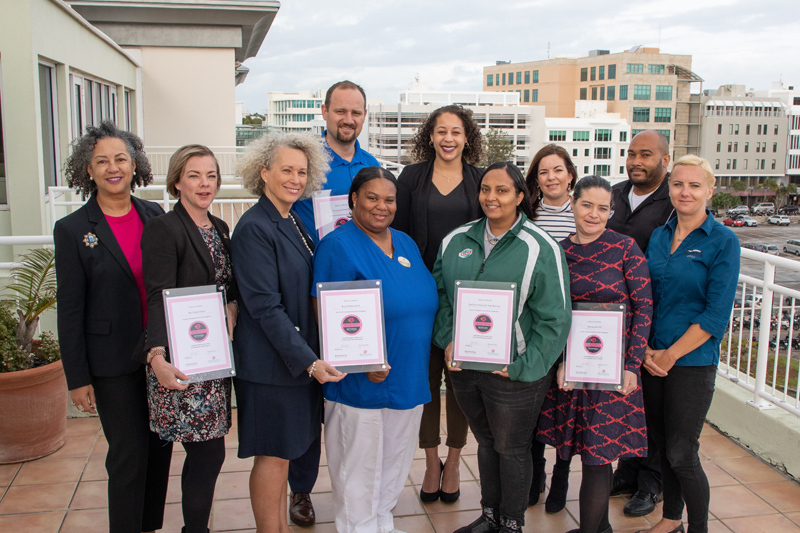 “The BTA is proud to welcome these newly certified Bermuda businesses,” said Bermuda Tourism Authority COO Karla Lacey, who oversees the NSSP. These businesses join the 16 others that have earned their NSSP certification: For businesses that would like to start the process of NSSP certification, the next enrollment period will be this September. In the meantime, questions can be directed to info@service.bm or you can also visit service.bm. “We continue to be pleased with businesses who are actively engaged in raising the standards of service across the island,” Rasheeda Burgess, Bermuda Tourism Authority Tourism Standards and Training Manager said.